Muffin and her 5 kittens (affectionately known as The Crumbs) were found under a porch in early November. 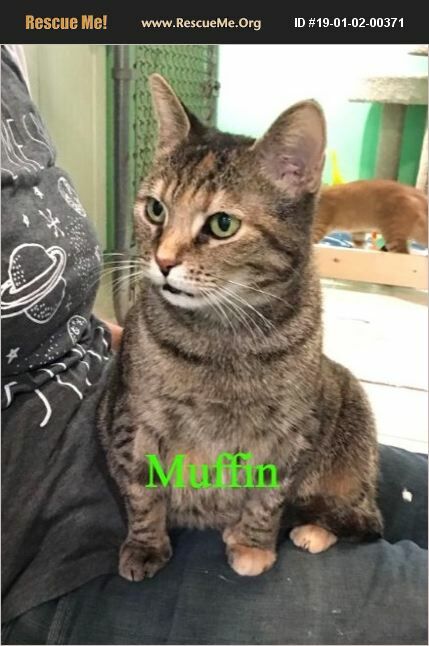 Muffin is a pretty brown and white tabby with golden eyes that will bore into you. Muffin was a little wary of humans at first, but she has come out of her shell and approaches the volunteers for pats and rubs. Her kittens are slowly being adopted and Muffin is also ready for a forever home. She enjoys hanging out with the other cats in the cat cabin and would probably do well with a confident companion kitty. She is the picture of health, was recently spayed and is up to date on her vaccines. If you would like more information on Miss Muffin, please email marylee@waaag.org or visit www.waaag.org/adopt.